This week, like every week for the rest of the 2018 NFL season, is a must-win game for the Dallas Cowboys. Getting ready to face an Atlanta Falcons team that took the heart and soul of the Cowboys offense in last year's matchup, Dak Prescott and the Cowboys have a lot to prove as they attempt to get back to the .500 mark for the fourth time this season. 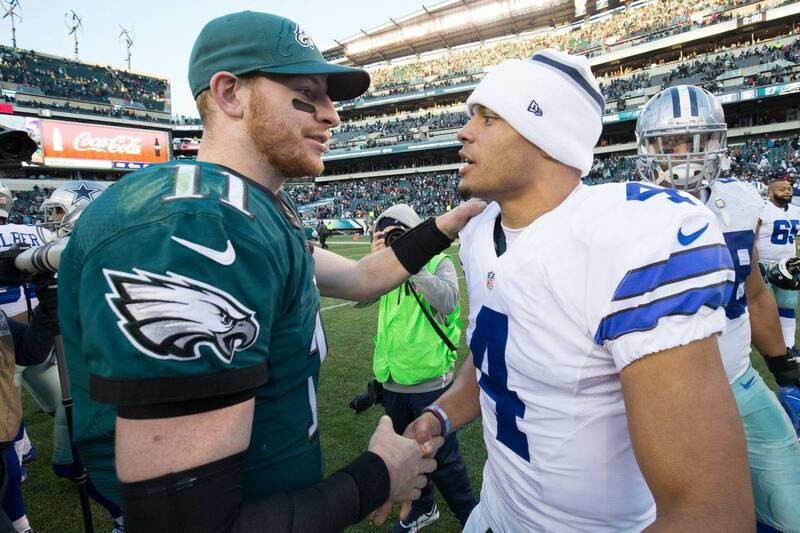 It feels like the Philadelphia game was forever ago. Now that it's finally game day, here are some final thoughts on the Cowboys matchup with the Atlanta Falcons. Amari Cooper has proven his worth in his first two games since coming over to the Dallas Cowboys from the Oakland Raiders. He's had 11 catches in the first two weeks and has made an instant rapport with Quarterback Dak Prescott. I believe they take another step forward this week and Amari Cooper goes for 100 yards in just his third game with America's Team. Cooper had 75 yards against the Eagles and 58 against the Titans. He's trending toward the 100 yard mark. If Prescott and Cooper could have connected on just one of the deep shots they missed on, Cooper goes for 100 last week. This week, Dak and Coop get another weak defense. The Atlanta Falcons pass defense is one of the worst in the NFL. They have the sixth highest net yards per attempt number in the NFL and the sixth most yards allowed. They've also allowed the fourth most passing touchdowns; 21. Since the Atlanta Falcons can score and move the ball with their passing attack, the Cowboys will have to throw to win this game. 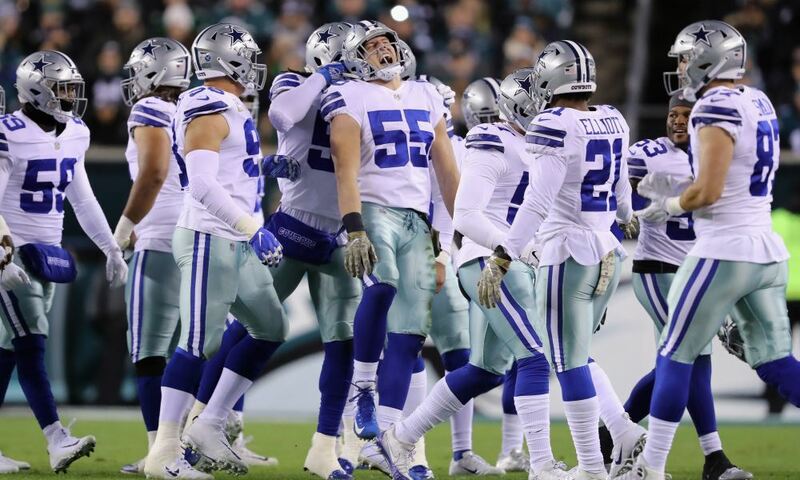 The Cowboys offensive line had their best game of the season on the ground on Sunday as they gashed the Philadelphia Eagles -- who were second in rushing heading into the game -- for 171 rushing yards. They did it by going right at the Eagles defense and were most successful when they used Su'a-Filo to get to the next level of the defense. There's been a lot of talk about whether Su'a-Filo should continue to start when Connor Williams comes back and for me, it depends. Williams has had some problems with the strength that defensive tackles bring on the inside, but he's been getting better too. If Su'a-Filo and the Cowboys offensive line plays well during this stretch that Williams is healing, then it would be a shock to see the rookie second round pick reinserted into the starting lineup. Check out this week's film review on Xavier Su'a-Filo. 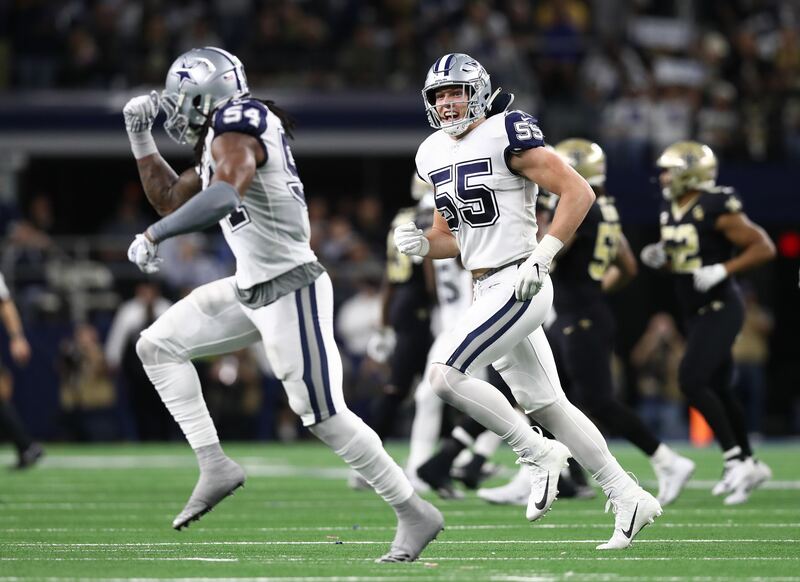 Jaylon Smith and DeMarcus Lawrence has been exceptional this season. Jaylon Smith looks to be healthy and progressing to be what the NFL thought he would be coming out of college. A transcendant middle linebacker. DeMarcus Lawrence sack numbers may not be as high as they were this time last season, but he continues to show that he's a dominant player on both pass and rushing downs. Cowboys playmaking EPA, now with snap counts! The most efficient playmakers have been Jaylon Smith, DeMarcus Lawrence, Sean Lee, Daniel Ross and Jourdan Lewis. "Playmaking EPA" = total EPA on failed plays forced through sacks, QB hits, turnovers, passes deflected, tackles, etc. As you can see from our friend Daniel Houston, who manages Cowboys Stats and Graphics on Twitter points out, Smith and Lee have been the best playmakers on the team on a per snap basis. By just about every measure out there, those two have been worthy of Pro Bowl and perhaps All-Pro selections. Chidobe Awuzie has been struggling this season. And that's stating it kindly to the second-year corner back. He's had decent positioning for much of the year, typically being right where he's supposed to be, but he's not making any plays of the football, which is something he was known for coming out of college. There's something not quite right with his game this season as he's become the focal point for opposing passing attacks and for good reason. He can't stop anyone. Well, this is the week to turn all of that around. The Dallas Cowboys need him to have a big week this week. As humans, we know that when our interior isn't right, it doesn't matter what else we have going on on the outside, we don't function as well. The same is true for defense. If your interior isn't right, your defense isn't right. The Dallas Cowboys defensive interior is struggling with some health issues. 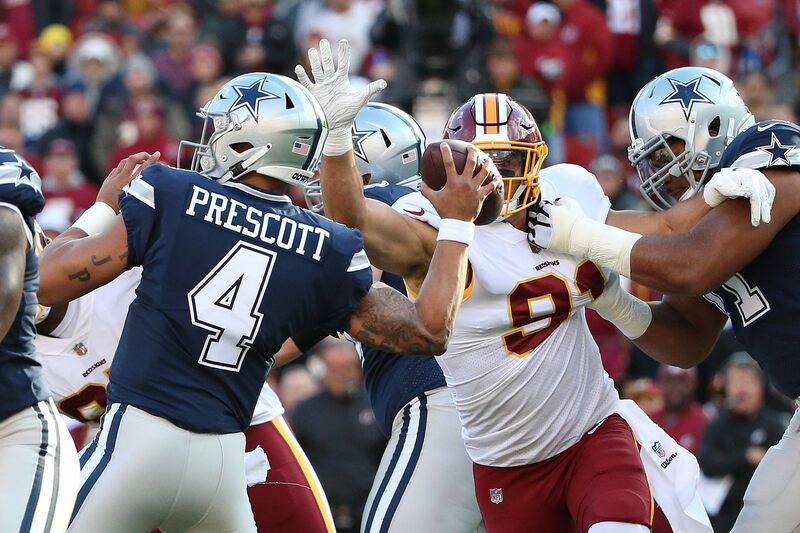 On the final injury report of the week, Defensive Tackles David Irving and Daniel Ross have already been ruled out, Antwaun Woods is doubtful, and Maliek Collins is questionable. If for some reason Maliek Collins isn't able to go, then it's probable that the team will go into the game without a functional one-technique defensive tackle. Even with Collins in the lineup, being down Woods and Ross means the Cowboys have to run Collins at 1T and Tyrone Crawford is your primary 3T defensive tackle. With Crawford having to play inside this week it means a three-man rotation at defensive end of DeMarcus Lawrence, Randy Gregory, and Dorance Armstrong. They should be alright on the outside, but Crawford is one of their best run defending defensive ends. He's good on the inside, but you want to save him for your passing situations. This is one of those games that I'm having a difficult time getting a read on. The Cowboys haven't been good on the road this season until last week at Philadelphia, one of the more difficult places to play in the NFL. In that game, they finally got their offense clicking through the air and on the ground. This week looks like an opportunity for the Cowboys to continue to prove themselves offensively against an average to below average opponent. On the defensive side of the ball, they're going to have their hands full with an Atlanta Falcons offense that is averaging more than 30 points a game at home and has one of the best receivers in the NFL in Julio Jones. I think this is going to be a close game where both teams get into 20's in point scored and it comes down to who plays better offensively at the end.